The best of Christmas is displayed here in eye-catching red, white and green. 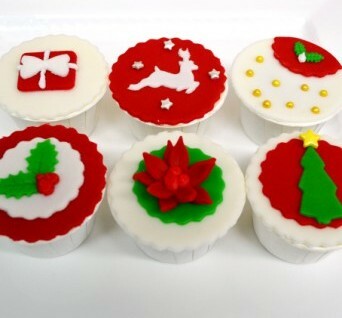 Three chocolate and three vanilla cupcakes festively decorated as a gift, reindeer, mistletoe, poinsettia and Christmas tree. Lovingly hand-crafted with fondant decorations.